I saw this a couple months ago, but just thought about it again recently for some reason. 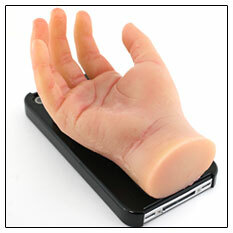 Creepy hand iPhone case from Japan. The only problem about this is that it won’t fit in my pocket.